Saint Augustine is one of the most influential figures in all of Christianity, yet his path to sainthood was by no means assured. Born in AD 354 to a pagan father and a Christian mother, Augustine spent the first thirty years of his life struggling to understand the nature of God and his world. He learned about Christianity as a child but was never baptized, choosing instead to immerse himself in the study of rhetoric, Manicheanism, and then Neoplatonism-all the while indulging in a life of lust and greed. In Augustine, acclaimed historian Robin Lane Fox re-creates Augustine's early life with unparalleled insight, showing how Augustine's quest for knowledge and faith finally brought him to Christianity and a life of celibacy. 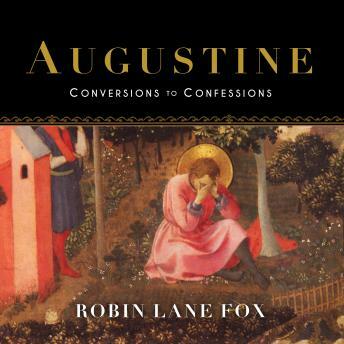 Augustine's Confessions, a vivid description of his journey toward conversion and baptism, still serves as a model of spirituality for Christians around the world. Magisterial and beautifully written, Augustine will be the definitive biography of this colossal figure for decades to come.